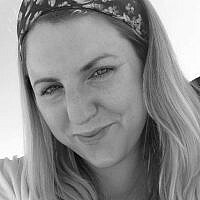 Kylie Ora Lobell is a writer and personal essayist living in Los Angeles. She writes for Jewish publications like Aish, the Jewish Journal of LA, Chabad, The Washington Post, The Los Angeles Times, and Tablet Magazine. She runs JewessMag.com, an online magazine for Jewish women. In her spare time she hangs out with her husband, comedian Daniel Lobell, and her five chickens, two dogs, and tortoise. See more @ KylieOraLobell.net.